Last week, we attended a briefing called “Voices of Youth- Discussion on Homelessness.” This forum, held on Capital Hill, brought together 13 students from around the country who were formerly and/or currently homeless, who had received a scholarship to pursue a college education on behalf of the National Association for the Education of Homeless Children and Youth (NAEHCY)’s LeTendre Education Fund, and was originally a program of NCH. Their stories were inspiring and heart wrenching, leaving everyone in the room with tears in their eyes. As observers and advocates, we hope to shed light on some of the difficulties these youth faced and the ways in which we, as a society, can better create a support system for youth in need. 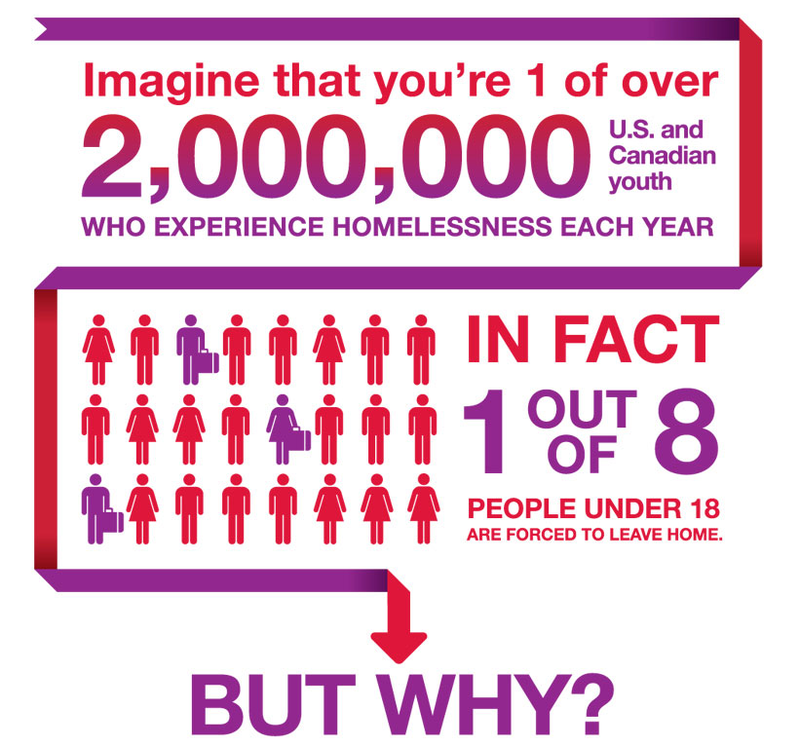 Each student’s experience of homelessness was caused by some sort of domestic circumstance, whether it be a parent struggling with addiction, a death in the family, a dispute at home, or simply poverty itself. Each inevitably had to adopt a mobile lifestyle, relying on no one but themselves. Wanting to blend in with their peers, most of the students never revealed their state of homelessness to others and were often times, too ashamed to ask for help. One of the young women from the discussion made a clear point to help the audience understand that homeless youth do not choose to put themselves in situations that lead to homelessness. She argued that they are not “bad” youth, but rather struggle with a variety of issues including family problems, neglect, abuse, etc. Therefore, they felt as though they had no choice but to leave home. Having lived with friends or distant family members, the students lacked permanent shelter. At one point or another, all had lived in a car, and a few mentioned sleeping in parks or on the street. The stress of their living conditions- namely, being forced to find food and shelter, to care for themselves, and to continue attending school- was the most inhibiting barrier they faced, as it caused lapses in their education and delayed their diplomas. Furthermore, because they were young, they were all unaware of services that were available to them. Many did not gain access to government aid until well into their homelessness. All of the students attributed their educational success to the help of a single individual, someone who they believed “saved their life” and helped them find the resources they needed to survive. Though each student had a unique story and voice of their own, it was evident that their homelessness caused them all to experience a feeling of abandonment. It appeared as though all that was needed was a steady support system, for this would have lessened the burden that they carried on their shoulders. They needed someone who cared, and more than anything, they needed reassurance that their hardships were not deserved but rather, unfairly placed upon them. As interns at the National Coalition for the Homeless, we have learned that homelessness can happen to anyone, at any time. Now more than ever, we understand that youth homelessness is a problem that is all too common, yet it falls under the radar and is drastically under-represented in statistics. More importantly, the students’ stories taught us that they too hold great passions and dreams, and they simply want someone who will believe in them. Now, despite their hardships, these students will not only finish college, but they will also volunteer their time to advocate on behalf of other homeless youth.